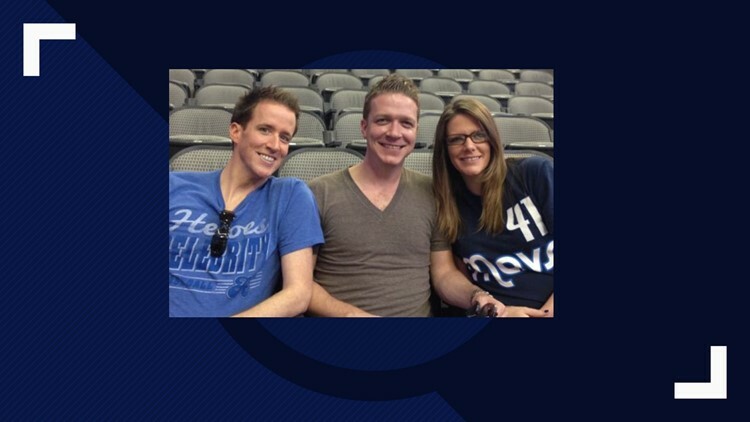 Here we are, the day of Dirk’s final game. A day I never wanted to arrive. You could say I’ve been in denial, holding onto the slim chance that maybe this isn’t it, maybe it’s not over….but perhaps it is. Twenty-one seasons, more than 1,500 games and more than 31,000 points. I’ve been on this bumpy ride with him since day one, nearly half my life. I don’t know Dirk personally, but like a lot of fans, I feel a personal connection to him. I feel like I’ve grown up with him. I’ve struggled, cried, and celebrated right alongside him. I get emotional just writing these words because it’s nearly impossible to sum up just what he means to me. 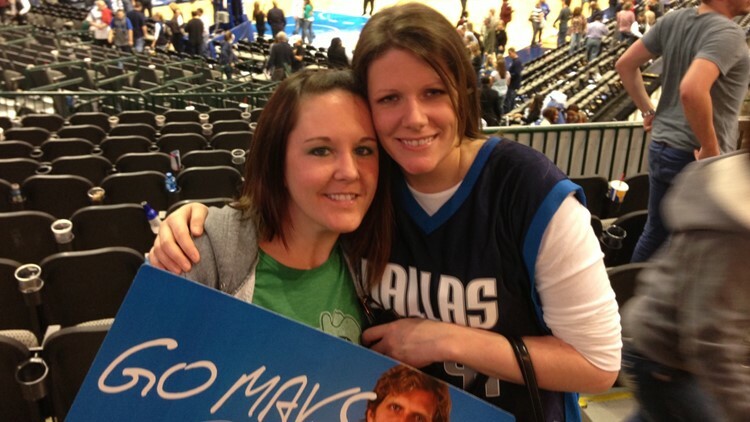 Tiffany Johnson might be WFAA’s biggest Dirk Nowitzki fan. He’s given me hope and joy when my world was crumbling around me. He’s showed me that you can accomplish anything with hard work and dedication. 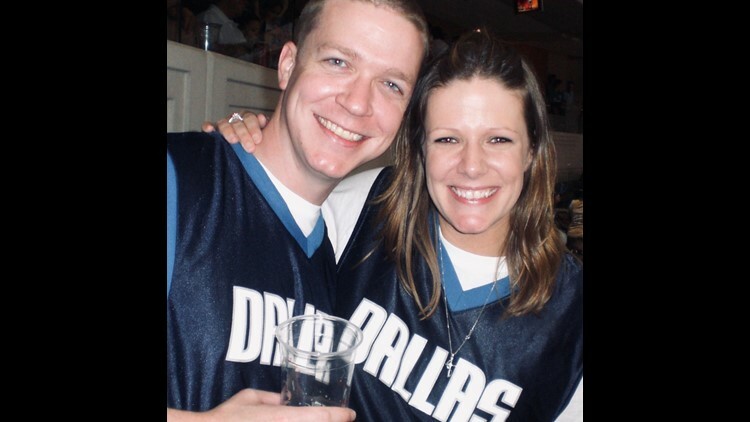 The day we traded for him in the draft, a lot of fans were skeptical, but being a Mavs fan in the '90s was brutal, and I welcomed any glimmer of hope for a better future. I saw him struggle as a scrawny kid through his rookie year, but he never stopped working and I never stopped believing in him. Every year he got better, his work ethic was inspiring. Watching him play night in and night out…every time he stepped on that court, he left it all out there. When he lost, he worked harder. When he won, he found areas to improve. Somewhere along the way I became more of a Dirk fan than a Mavs fan. 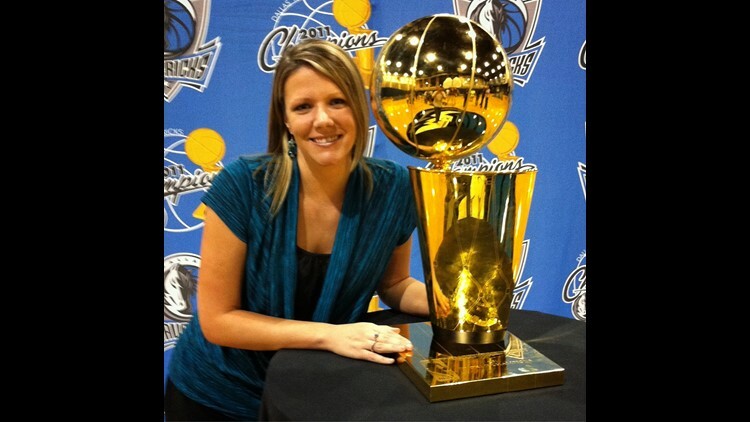 The summer of 2010 when Dirk’s contract was up, I came to terms with the idea of him leaving. This guy gave his heart and soul to us, and all I wanted was for him to win a championship, and if that was on some other team, then so be it. But Dirk signed again, with no guarantee of a championship, because he couldn’t see himself playing anywhere else. That’s the definition of loyalty. Every Dirk milestone is a memory. I can remember exactly where I was, who I was with and how it felt. In 2001 our playoff drought was broken and Dirk and the Mavs put on an amazing comeback to win Game 5 against the Jazz. I can still see myself jumping up and down, giving out high fives. Seeing Dirk flourish playing “Nelly ball” as part of the “Big 3." Or that time he scored 53 points in an epic battle with Tracy McGrady. It was like watching a video game of non-stop scoring. One of my favorite moments: the 2006 "and-1" over Manu Ginobili in Game 7 of the semifinals. I have a picture of that moment framed on my living room wall. He helped us overcome the Spurs, finally, and we were witnesses to one of the greatest NBA series ever played. I cried tears of joy, celebrating in my tiny Waco apartment. I called my parents and my brothers, yelling about the unbelievable game I had just watched. I’d prefer to skip over the dreaded 2006 Finals, but it’s too important to his story. That was a tough one. It was painful to be so close, yet have it all fall apart. It was devastating seeing Dirk walk off the court. I was upset as a fan, but I was more sad for Dirk. This player who I’d watched grow into one of the best in the league was so close to everything he had worked for, only to fall short of the ultimate goal. The critics called him soft. The national media were not fans. They said he could never lead a team to a championship. Years of disappointing early playoff exits followed and they all questioned his leadership. But all that heartache would lead to something great, something magical: The 2010-2011 season and that legendary playoff run. What I had always known about Dirk was now being seen by the entire country. Every game I was cheering him on, but cautiously, because I still had memories of 2006 in my head. Looking back I can’t believe how it all unfolded. His performances were super-human. His 48-point game against the Thunder was epic. The clutch shots game after game were inspiring. Five years after our lowest point, we would meet the Heat again in the Finals. And not just any Heat team, but the first so-called super team, launching a trend of superstars teaming up. But we had a warrior, a warrior who wouldn’t let us lose, who wouldn’t let 2006 be our story. The Game 2 comeback might be the greatest in NBA Finals history. I remember watching Game 6 with tears in my eyes in the waning minutes, saying out loud over and over “Oh my god, we’re going to do it. We’re going to win.” A moment I will never forget, and in a year when I needed it most. That was also the season I lost my mom to cancer and my world was turned upside down. 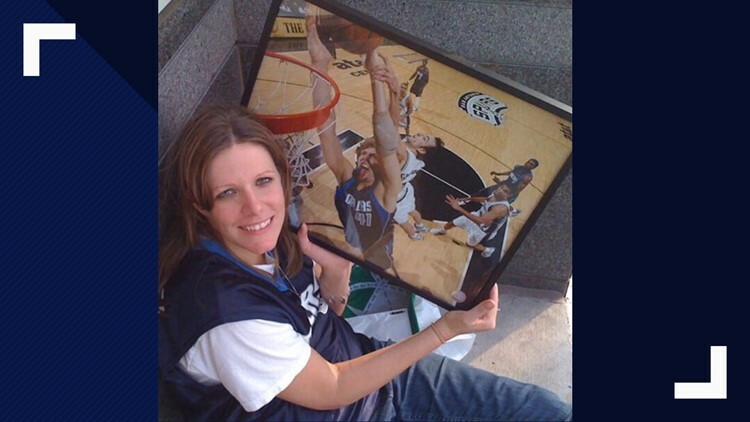 She never got to see him win that ring, or the smile on my face when he hoisted that trophy, but Dirk provided a moment of pure joy and relief in what was the most painful year of my life. Dirk put a team, his fans, and an entire city on his back, and in storybook fashion won a championship. We saw him turn from a shy kid into one of the best players the game has ever seen. And if you need any more reasons to love him, look at him off the court. He’s always staying late to sign autographs, he spends time with his fans, and he does so much for this city and community, the majority of which is never seen by the public. 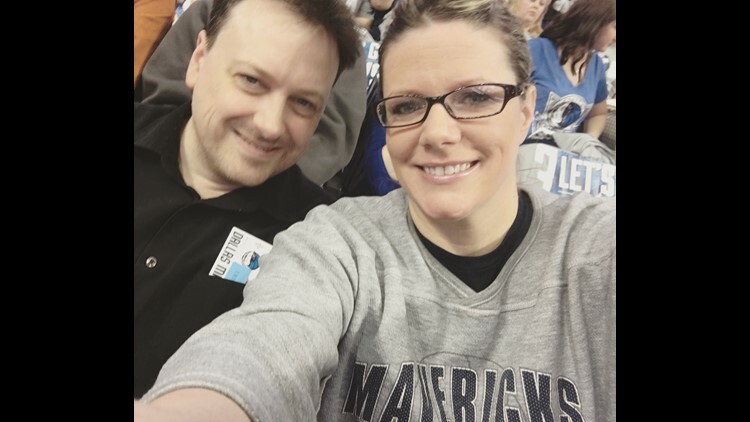 So when the buzzer sounds, and Dirk walks off the court tonight, so do 21 years of life-long memories, of celebrations, heartache, struggle, and triumph. I will miss the sweet finesse of that one-legged fadeaway, the dagger threes, the fire with which he played the game. When the game was on the line with minutes left and Dirk had the ball, you took one look at his face, and knew he would leave it all on the floor. He was lethal, unstoppable, unguardable. He’s everything you want in your favorite player, and on top of that, he’s humble, kind, and has an unparalleled sense of humor. But most of all, I will miss the hope he gave me, the courage he gave me, the example he set for all of us. The memories of watching games with my brothers, my mom, and my dad. The countless hours of cheering for the underdog. I’ve tried to sum up what he means to me, but it’s just impossible to do that. Tonight I’ll probably shed a few tears. Maybe I’ll bawl like a baby, remembering the good times, what he has meant to me, to this city and to the legion of fans who have followed his career. It’s been a remarkable ride. Thank you doesn’t seem like enough. Dirk gave us so many memories and brought smiles to so many faces, mine was just one of many across this city and around the world, but I know they join me in saying thank you Dirk… thanks for everything.